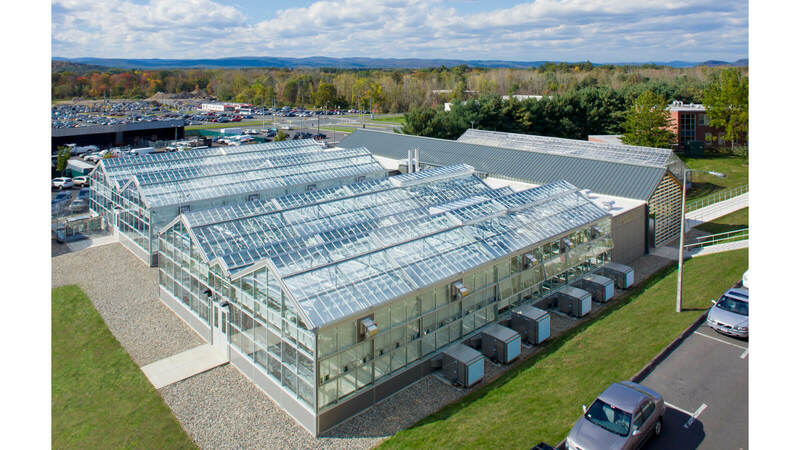 The CNS Research & Education Greenhouse is a state-of-the-art facility that consolidates the University’s botany research and teaching. 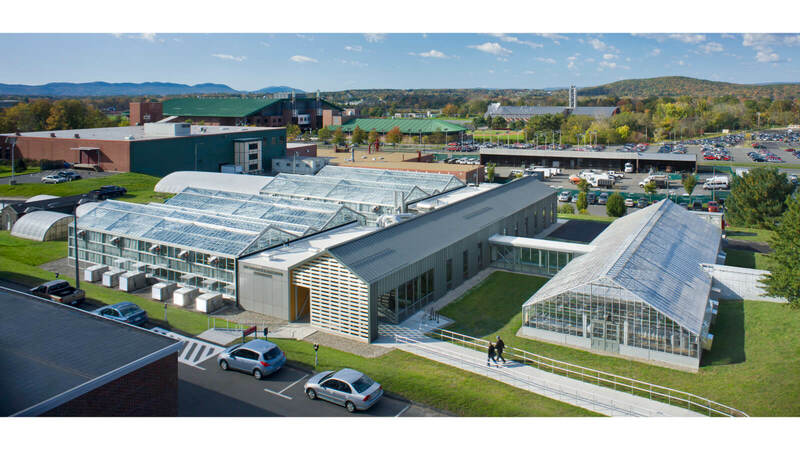 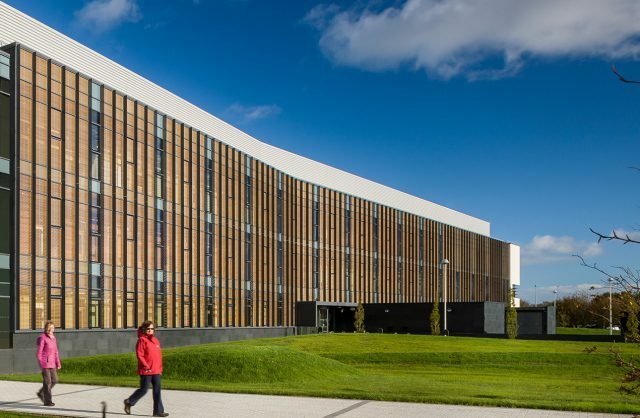 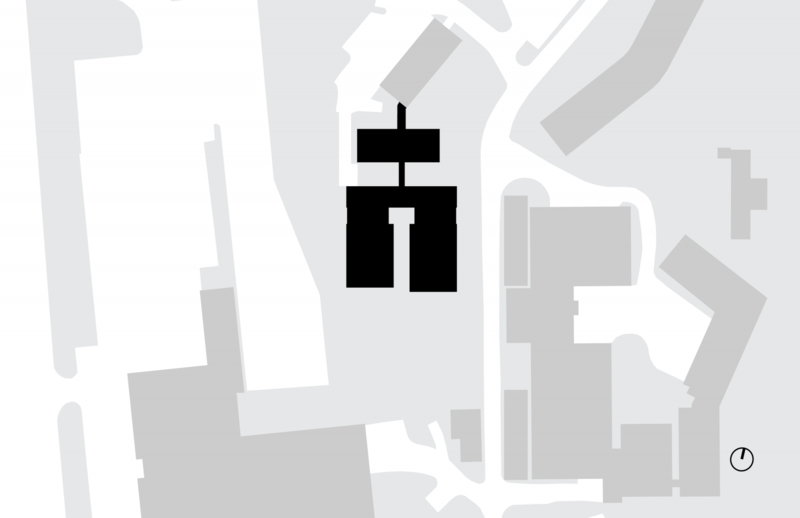 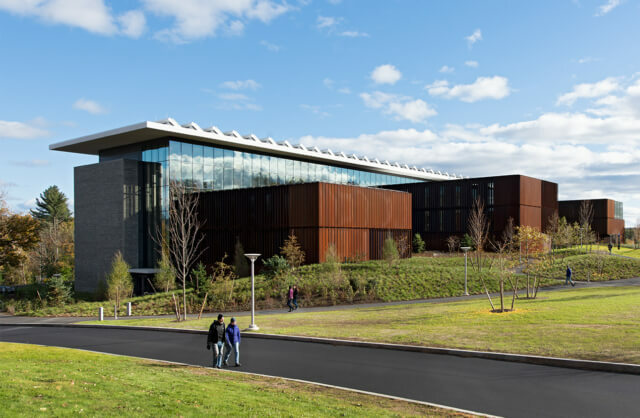 Both a greenhouse and a research laboratory, it sits at the edge of a cluster of laboratories housing the Department of Plant, Soil and Insect Sciences, connecting the campus to the surrounding rural landscape. 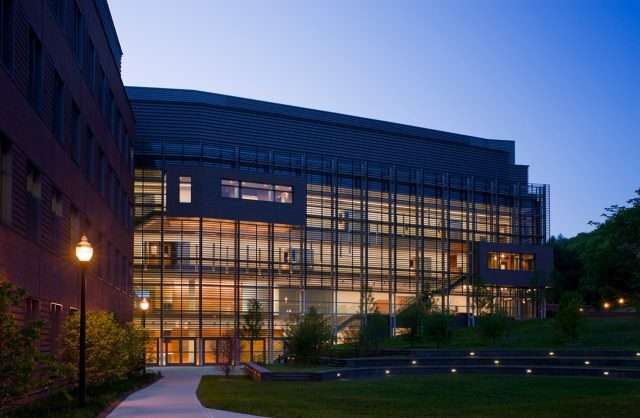 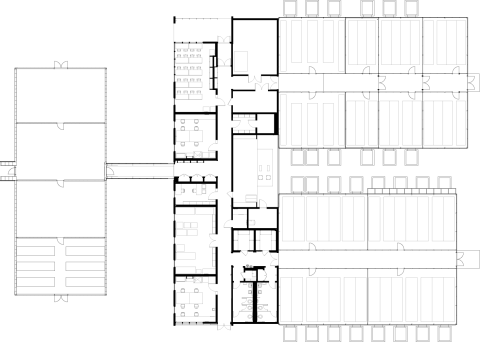 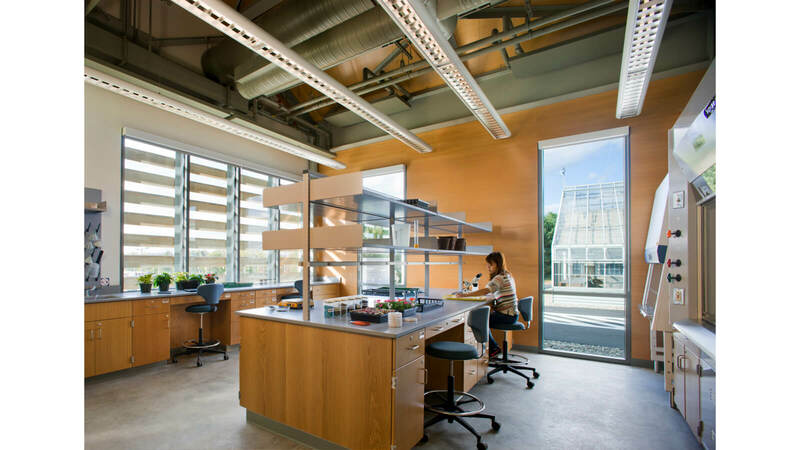 A complex research and teaching facility, the laboratory contains two research labs, a wet/dry classroom for botany instruction and a core facility for seed germination. 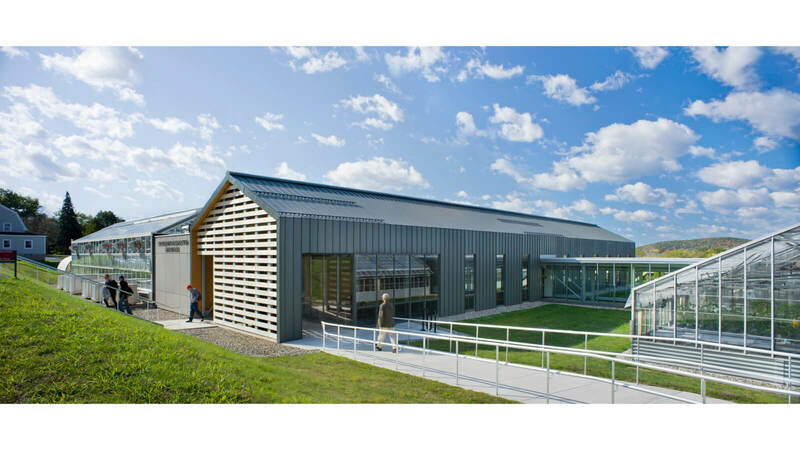 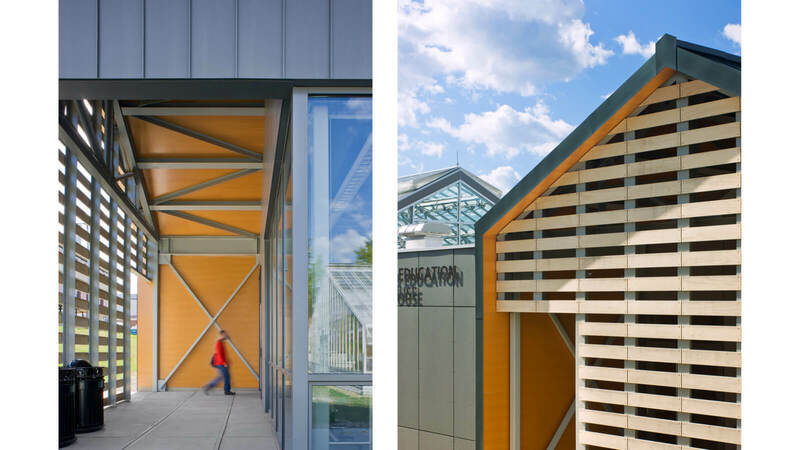 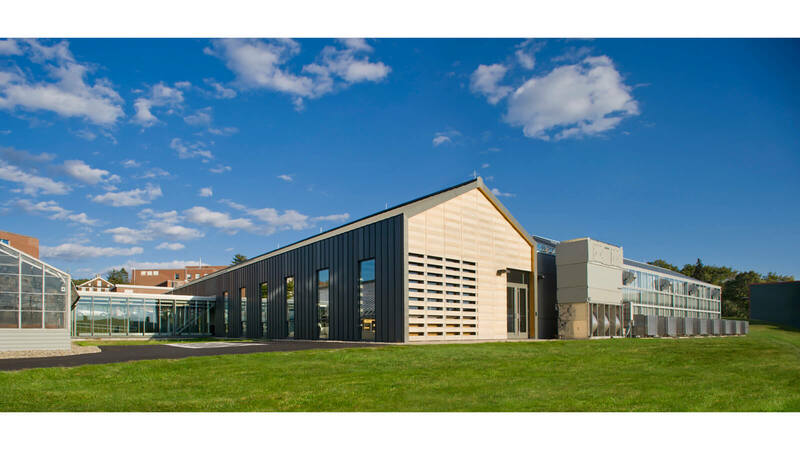 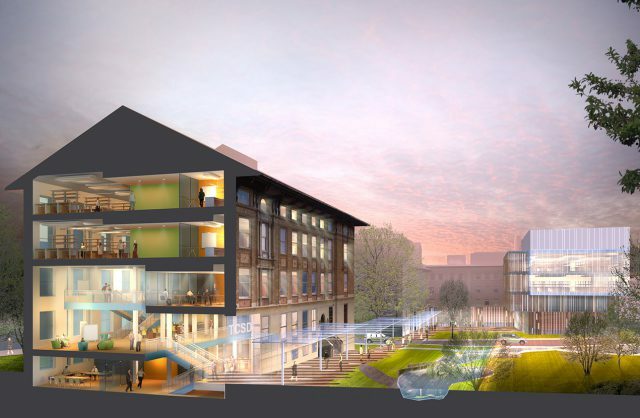 To give it shape, we drew inspiration from the historic barns of western Massachusetts, marrying the agrarian character of the University’s roots with the spirit of cutting-edge research. 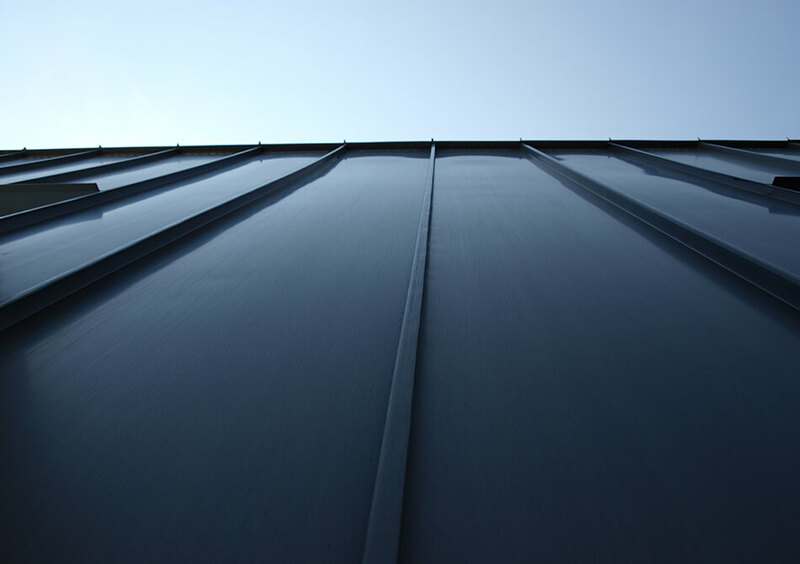 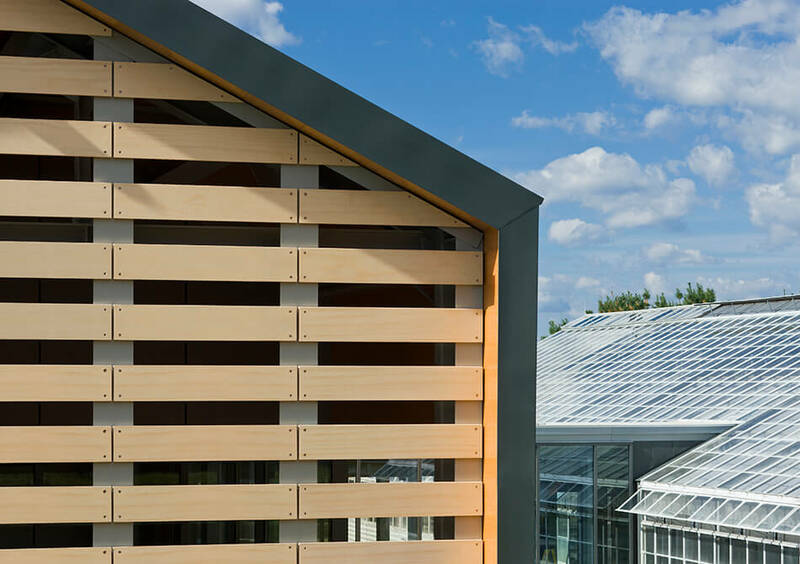 The research greenhouses share the lab’s simple, gabled form and provide an open, flexible environment for introductory botany instruction and plant experimentation. 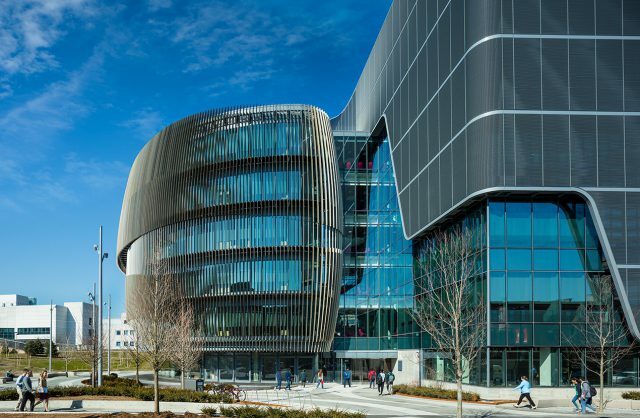 Custom-fabricated to meet the needs of University researchers, they are complex, living machines. 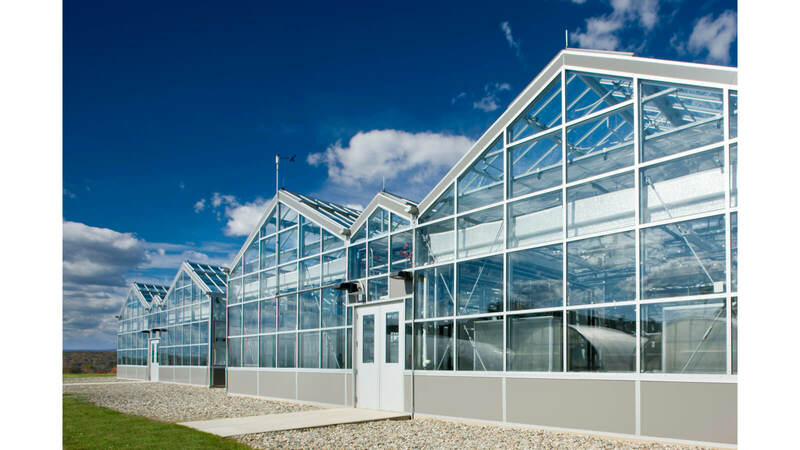 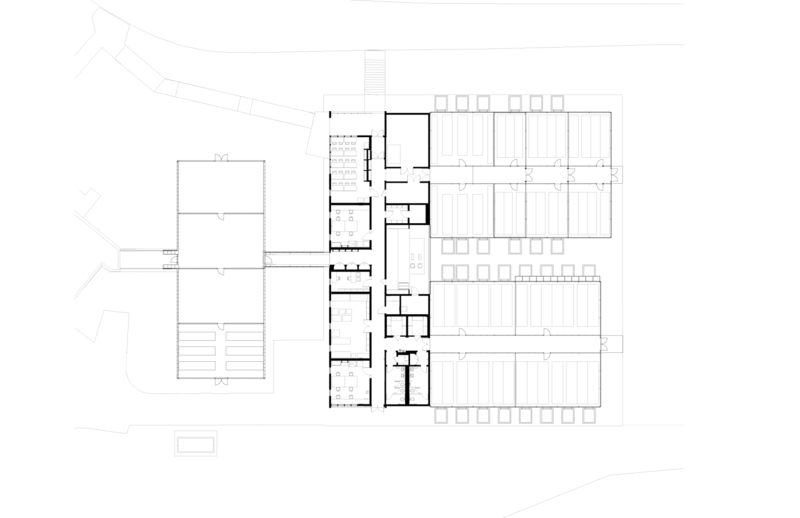 Their sophisticated, automated systems control natural and artificial lighting, temperature, humidity, irrigation and fertilization, maximizing research capabilities. 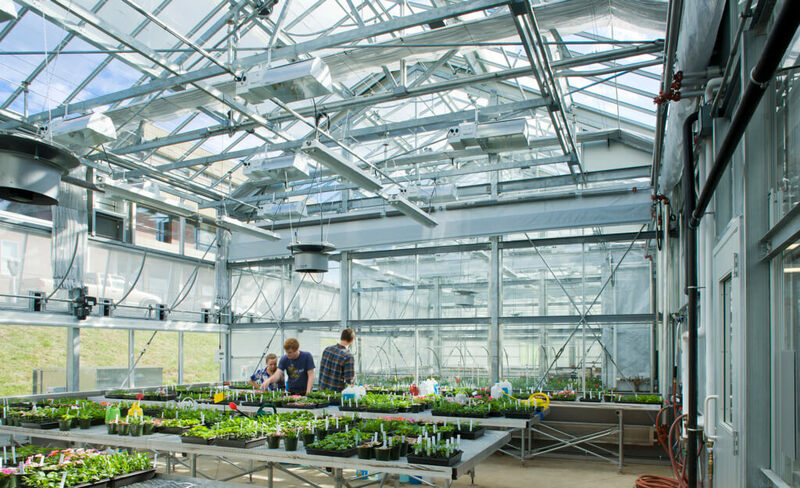 Throughout, the laboratory and greenhouses share high, pitched ceilings, concrete floors and exposed mechanical systems. 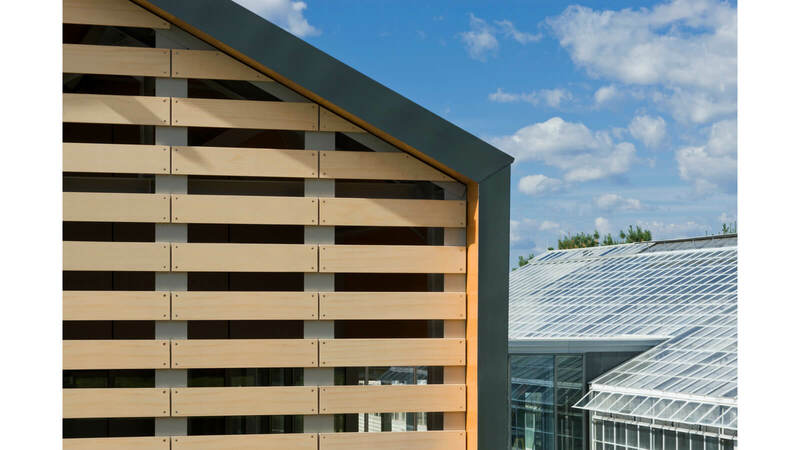 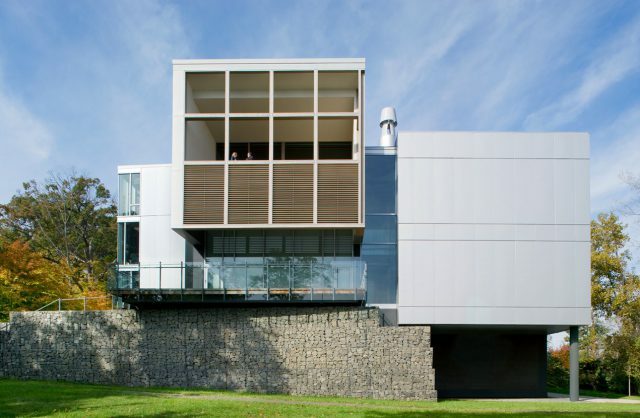 The design embraces a raw simplicity of detail and finish, eschewing paints, stains, trim and applied finishes in favor of the beauty of materials in their natural state.